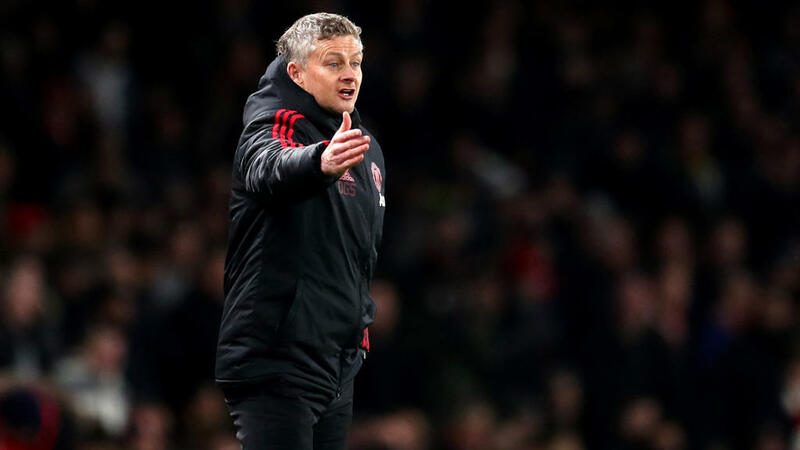 Ole Gunnar Solskjaer has warned his Manchester United players against looking ahead to a blockbuster Champions League clash Paris Saint-Germain and focus on continuing their fine Premier League form at Fulham on Saturday. Seven wins and a draw in eight league matches since Solskjaer became caretaker manager on December 19 have revived United's chances of a top-four finish. They are fifth going into the weekend's fixtures, just two points behind Chelsea, but can jump into fourth with victory at second bottom Fulham a day before Maurizio Sarri's side make a daunting trip to Manchester City on Sunday. "Of course you take one step at a time and that's one of the goals we've set - that we move into the top four. And if we do so, we want to stay there and improve on that," said the Norwegian. "Of course, the past two months have been fantastic with the points we've got, so consistency is now the key word, that we keep on winning games but in a better way than say the Leicester one. I felt that we hung on. It was good enough but we shouldn't be happy with just good enough. "We want to improve. The Fulham game coming up is a character revealer. Do we have the focus on what's important, which is always the next game in football? And can we forget about PSG and all the games coming up? "I know the focus around the place and in the media has been about the PSG game for a long time, and Chelsea and Liverpool, but they're not the games that will move us up the table." United are continuing to plan for the long term as they go through the process of deciding who will become their permanent manager next season, with Solskjaer's case now hard to ignore. "It's a signal for the players that we believe in them and it's a signal for supporters that we plan ahead," added Solskjaer. "Phil has been here for so long. He's won the Premier League, he's won trophies and he knows what it takes for us to move up the table." Solskjaer acknowledged that the discussions over Jones' contract had started before his arrival, but believes that he has managed to stamp his authority on the United team during his short time in charge. "Every day I feel that I do help the club put my stamp on it, yes. "But decisions on players' futures are sometimes not down to me. It can be from the players: Do they want to stay or move on? "We have a vision of how we want to look in a few years and we have to think long-term and also short-term. I've got a picture of what this Man Utd team should look in a couple of years but I put my views to (executive vice-chairman) Ed Woodward and the club."